“Snoqualmie Ridge Storage helped us out when our home flooded this January leaving us no place to store our salvageable items. Ron Davis of “SRS” went out of his way to give us a moving truck to store our things. The next day, the company had a storage unit ready to move our items to safety. “I own a hardwood flooring business in Snoqualmie WA. We require space for equipment, materials, & supplies. The Snoqualmie Ridge Storage facility provides me with exactly what I need: clean, heated space with easy access & outstanding support from the owner & staff. We are one of the first tenants to occupy space at the facility. From the first day we occupied our space, we have received excellent customer service. Sherwood, & the rest of the staff have taken good care of us. “Their customer service definitely went the extra mile to help meet my needs! “Leslie and Ron are FANTASTIC! Very helpful, very customer service oriented, and knowledgeable. Moving was a very stressful time for us, however both Leslie and Ron helped alleviate our worries with their kindness, knowledge, and wonderful attitudes! THANK YOU! Their helpfulness made our move actually do-able - I wish I received this kind of customer service everywhere I go - this world would certainly be a better place if more people were like Leslie and Ron! “I just wanted to let you know that I totally appreciate the guys who came to help me move the desk downstairs (and several other items) - they were wonderful and did a fantastic job (and I think it was the best money I've spent in a long time!) Thank you for setting it all up and please pass along my appreciation to the guys - it went much more smoothly than I (or Grant) anticipated! 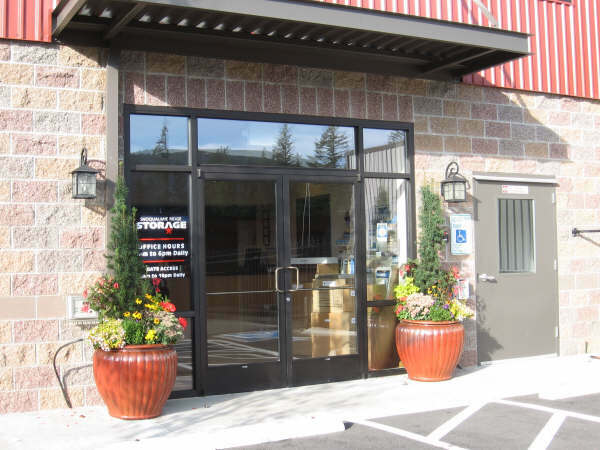 “The staff in Snoqualmie was very accommodating to my needs.